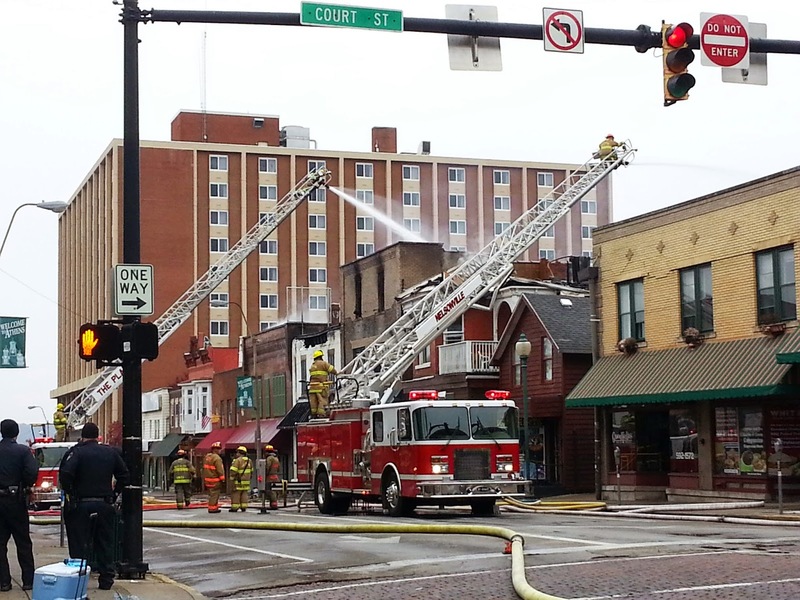 ATHENS, Ohio – An early-morning fire Sunday sent at least one resident and three firefighters to the hospital and damaged several buildings on West Union Street in the Uptown area. The injured, including one resident, three firefighters and three police officer, were transported to O’Bleness Memorial Hospital. Several businesses, including housing Jackie O's Public House, The Union Bar, Smoke Zone, the Campus Sundry and Jack Neal Floral were destroyed or heavily damaged. At least thirty residents were displaced by the fire. 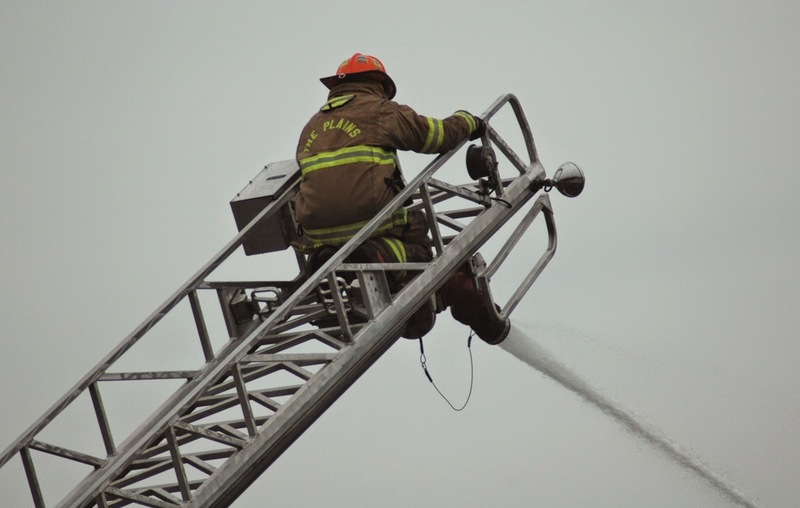 The fire reportedly started around 4:10 a.m. and units from Athens City, Richland Area, Nelsonville and The Plains and Waterloo Township fire departments responded. At 9 a.m., water from two ladder trucks still deluged the buildings which appeared to suffer severe damage. Electrical power is out in what Athens City Safety Director Ron Lucas described as a significant part of the Uptown area. Lucas reported that four residents were injured but three refused treatment. One resident was treated and released. A hospital spokesperson said the four first responders remain in an observation status but no serious injuries were reported. West Union Street between Congress and Court streets remain closed. Court Street was closed from President to Washington streets. It is unknown when the streets will reopen. The Rome Township Volunteer Fire Department is providing fire coverage for while city units work to extinguish the fire, clear the structures and assess damage. 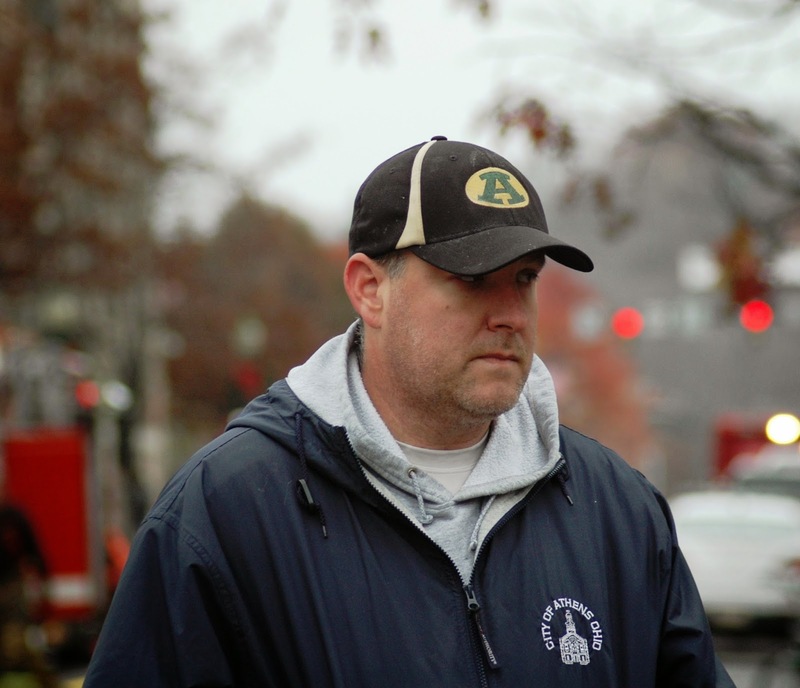 Owner of The Union Bar, Eric Gunn, said he received a call around 5:45 a.m. Sunday. “The bar is a total loss,” Gunn said. Lucas said the cause of the fire is unknown. A spokeswomen for State Fire Marshall's office said investigators have been on scene all day and the fire is still under investigation. In a social 4:45 p.m. media release, Lucas said Union Street will remain closed through the evening between Jackie-O's and the Uptown Dog. Businesses on the south side of Union are accessible by sidewalk and businesses west of Jackie-O's and east of The Uptown Dog are accessible on the north side. Fire crews will remain on scene throughout the rest of the day and tonight to make sure fires do not flare up. The scene will be assessed in the morning before opening Union St. up to vehicular traffic. Court St. and Congress St. have been reopened to vehicular traffic. Three firefighters and three police officers were treated for minor exhaustion and smoke inhalation symptoms. One of the three officers also sustained a knee injury. Power to 31 S. Court St. is expected to be restored sometime this afternoon. Approximately 40 Ohio University students are known to have been displaced by the fire, with many of those students being temporarily housed in local hotels. For those interested in assisting affected students, a donation station has been set up on the fourth floor of Baker University Center. According to OHIO officials, the affected students are in need of toiletries and warm clothing.